The Guyana Power and Light (GPL) has announced the appointment of Albert Gordon, a Jamaican as Chief Executive Officer (CEO) with effect from yesterday. 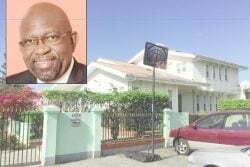 GPL in a statement said that Gordon brings many years of experience in public utilities at senior levels in both the Jamaica Public Service Company, that country’s electricity supplier, and its water authority as President. Gordon holds a BSC in Electrical Engineering and an MBA. GPL had been without a CEO since February 2016 when then CEO Colin Welch was fired following the installation of a new board. GPL Chairman Robert Badal also announced the end of his tenure yesterday. “Let me take this opportunity to announce that my tenure as Chairman of GPL has come to an end as I need every day of my time to focus on my companies’ expansion plans. I am now awaiting on the appointment of a new board by the Minister of (Public) Infra-structure to execute a smooth handover”, he said in the statement. 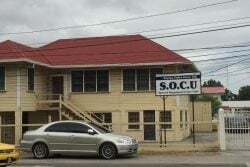 Badal heads Guyana Stockfeeds Limited and the Pegasus Hotel. The latter is set for a major expansion in Kingston. In the statement, Badal said that it was a pleasure to give the past 25 months of his time and expertise to building a new strategic direction for GPL. “The Board I led together with the management and staff have achieved significant improvements in the operations of GPL over the past two years. During this tenure we transformed GPL into a financially strong and stable company adding (in) excess of $8 billion to its free cash flows. The Power Utility Upgrade Programme is on schedule and the Infrastructural Development Programme is soon to get off the ground. These and other internal measures would bring further improvements in operational efficiencies, build management capacity, reduce losses and ensure a reliable and competitive electricity supply”, he said. Badal added that new generating assets for Bartica, Anna Regina and Canefield have been purchased and are soon to be commissioned replacing existing units that are more than 33 years old. A new strategic policy direction has been embarked upon requiring the use of natural gas in electricity generation to replace all retiring generating assets currently based on heavy fuel, Badal stated. He pointed out that an expression of interest from the private sector for a 50MW plant had just been closed. “All further replacements would follow this route to allow GPL to focus its resources on the building of a modern grid”, Badal said. During his tenure, Badal said that there were some challenges along the way including the disruption of the sub-marine cable linking Kingston and Vreed en Hoop and the same disruption at Garden of Eden as well as a shortfall in generation at the Skeldon plant. “These events have caused significant outages to the displeasure of many of our customers. On every instance the management and technical staff reacted well to restore power in the shortest possible time. The age of the National Grid requires constant maintenance which has been intensified recently. New equipment fully tested over a few months and now on full implementation should remove the frequency of trips and a major part of power outages”, Badal said. GPL has been assailed for the frequent outages, the majority of which are for brief periods. “I wish GPL, its management and staff, every success under its new leadership and look forward to continuous improvements going forward”, Badal said. The Guyana Power and Light Inc. (GPL) is pleased to announce the appointment of Mr. Albert Gordon effective February 1, 2018 as the Company’s new Chief Executive Officer (CEO). Mr Gordon is a Jamaican national but stands truly as a son of the Caribbean. 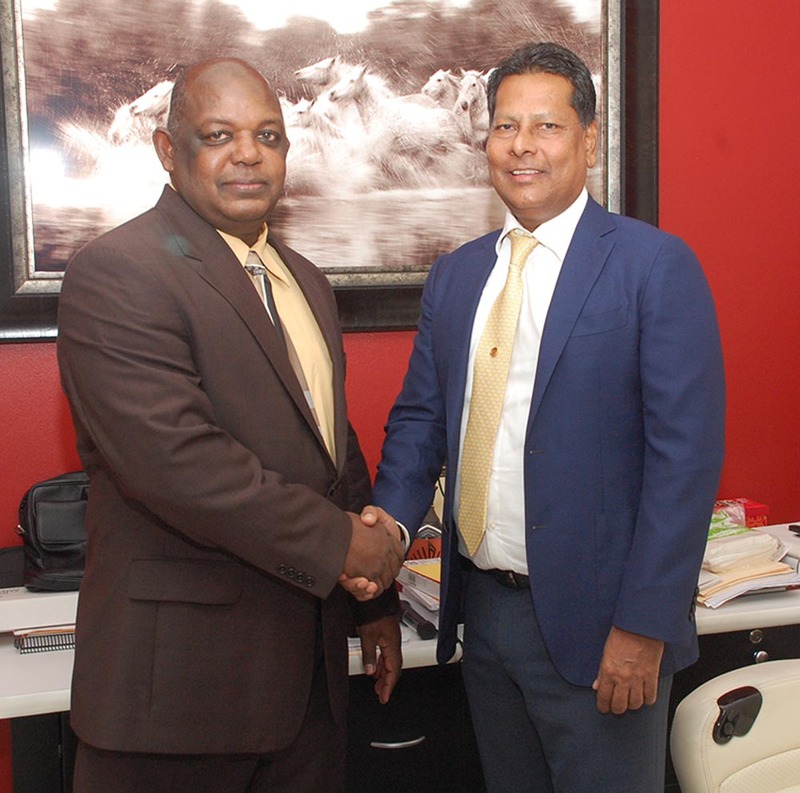 The appointment of Mr. Gordon forms part of GPL’s plans to modernize, expand and improve electricity supply in support of the development of Guyana. Mr. Gordon has over thirty (30) years experience in planning, development and operation of electric, water and sewerage utilities. His experience began and developed at Jamaica Public Service Company Limited (JPS), Jamaica’s sole electricity provider. At JPS his work included generation and transmission system planning, economic and financial analysis of projects and development of Public Private Partnerships. Additionally, his work included assisting in the development of the energy policy and strategy for private sector participation in the power sector and negotiation of Build, Own and Operate (BOO) contracts in the electricity sector in Jamaica. Following his eleven (11) years of service at JPS, Mr. Gordon was invited to lend his expertise and support to the National Water Commission (NWC), Jamaica’s water and sewerage utility. At the NWC, Mr. Gordon’s served as the Vice President Corporate and Strategic Planning, Vice President, Project Administration and later as President of NWC. His professional career continued to grow and expand. Following the completion of his contractual obligations with the NWC, he joined the Office of Utilities Regulation (OUR) serving as Director General. Under his tenure, OUR improved its efficiencies and quality practices, and attained ISO 9001:2008 certification for its Quality Management System (QMS). At the OUR, Mr. Gordon led the development of over 80 MW of renewable energy; 20 MW from solar and over 60 MW from wind, on a BOO basis. Additionally, under his tenure OUR successfully procured an additional 37 MW solar photovoltaic plant on a BOO basis. His experience in renewable energy will serve GPL well in the Company’s current pursuits of green energy, which forms part of Guyana’s National Development Strategy. Mr. Gordon’s extensive professional career is supported by his academic accomplishments. He holds a Master of Business Administration from the University of West Indies, Mona, Jamaica, a Bachelors of Science in Electrical and Computer Engineering from the University of West Indies, St. Augustine, Trinidad and a Certificate in Energy Planning and Policy from the University of Pennsylvania. His specialized training includes Power Generation System Planning, Energy System Modeling and Utility Tariff Setting. His theoretical and practical knowledge of Utilities will be of great value to GPL and Guyana.